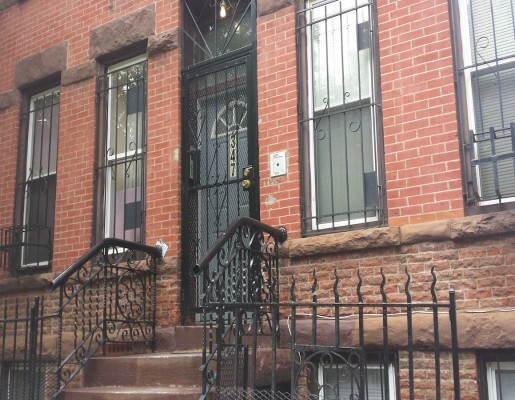 On a summer night in 2004, Brian Young woke up to the sound of a stranger calling up to his third floor Bedford-Stuyvesant apartment. The weather was warm and Young had left the window open, so he could clearly make out what the stranger yelled. Young leapt out of bed and banged on his two roommates’ doors. They could smell the smoke filling the hall. Young scooped up his laptop without stopping to put on a shirt or shoes. He and his roommates left the apartment through the front door. The fire had started on the floor above them, and flames lapped at the stairwell as they scrambled to the bottom. They escaped through the main entrance to the apartment building, and joined their neighbors who had gathered on the street outside. Young watched as his apartment building at 347 Greene Avenue, which he’d moved into fewer than two weeks before, burned. City firefighters arrived and put out the blaze before it engulfed the entire building. “I was just thinking I was so glad it was a warm night and the windows were open so I could hear that person yelling,” Young said. The firefighters who arrived on the scene said that the uninhabited top floor apartment where the fire began had been doused in gasoline. The empty can had been discarded in the stairwell. “It was pretty clear somebody had set the fire,” Young said. Though the apartment building hadn’t burned to the ground, the fourth floor was destroyed. The third and second floors were badly damaged and needed renovation. Young and Budnick packed their clothes and any furniture that hadn’t been destroyed. They found an apartment for rent in a building across the street. The firefighters who responded to the fire flagged it as suspicious. A fire marshal soon came around to investigate what had happened. “He didn’t seem particularly motivated to solve the case,” Young said. He questioned the people who lived in the building, but nothing ever came of his inspection.